Perfect for St Patricks day. 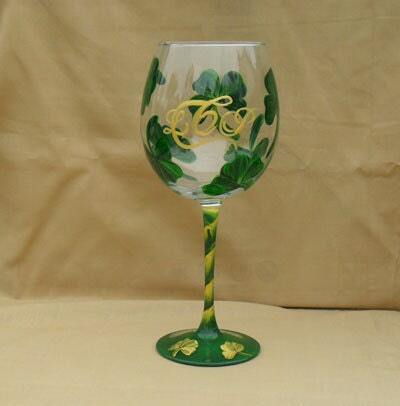 Our 19 oz hand painted wine glass is decorated in green and gold. These glasses were just the perfect addition to my Irish party! Can't wait to see her Easter glasses!